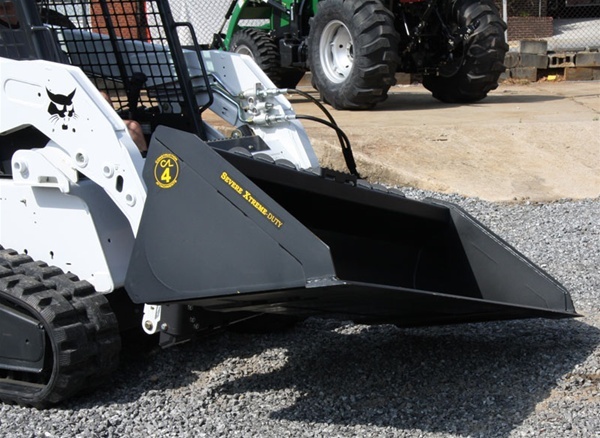 Bradco Tilt Attach HD provides better utilization of Skid Steer on uneven terrain. 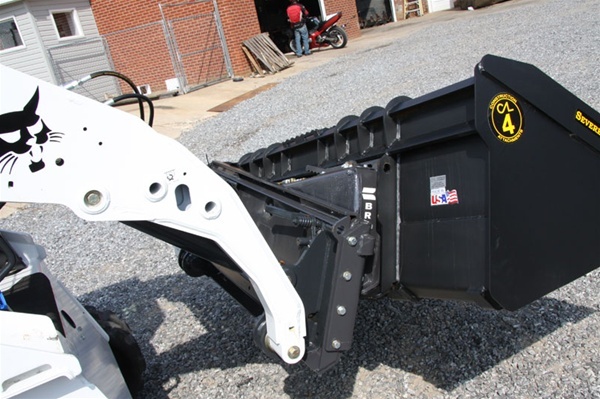 Attaches to a Skid Steer Universal Skid Steer Quick Attach hitch to allow 18 degrees Tilt Left and Right. 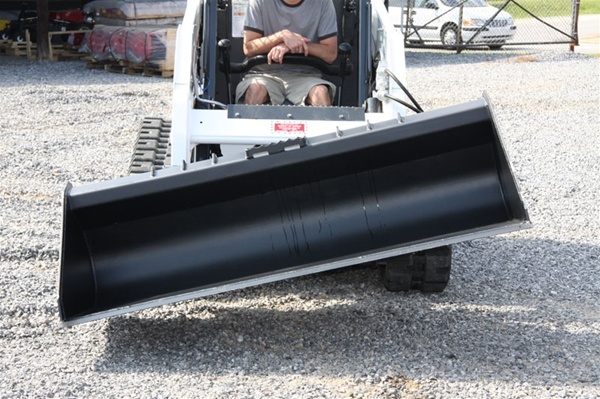 Tilts buckets and landscaping implements for more precise grading and leveling, available for 4,200 lb. capacity machines and dedicated Track Loaders. 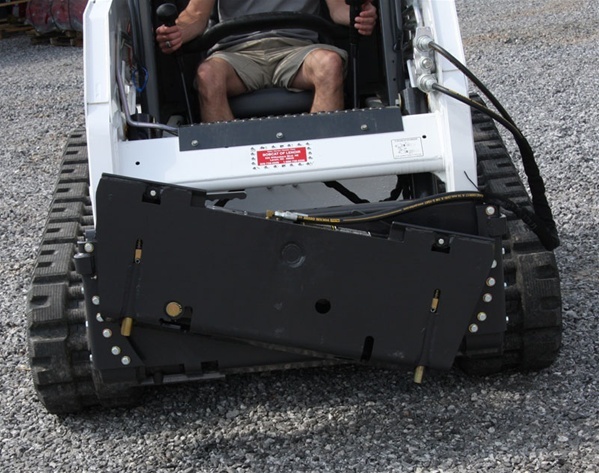 Optional valve package can be mounted on Tilt Attach for use with hydraulic powered attachments. Simple connection by electric wiring keeps valves and hoses out of operator’s cabin. 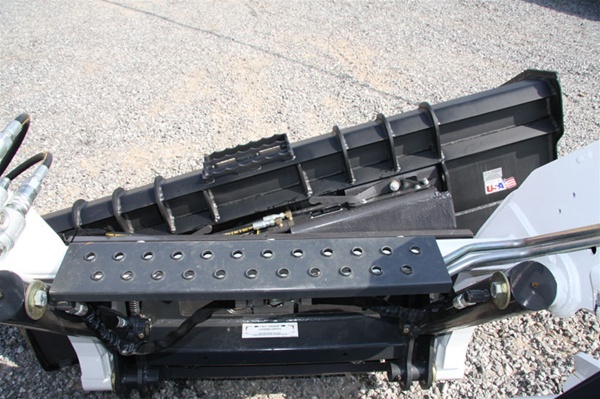 Abrasion resistant plate steel allows longer life. Large spherical ball bushing in center pivot allows extra strength and durability Heat treated pin in attachment quick attach. 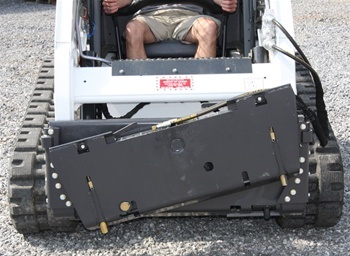 Universal Valve Package allows you to use additional hydraulic attachments. 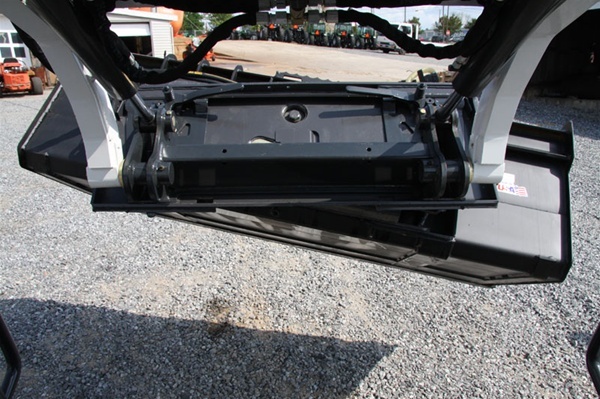 Includes electrical control box.